U Street Metro Stop and all 14th Street bus lines. No cover | Dress to impress! Please contact Nora Bankert at nbankert@richardsandoval.com to book your table. We'll help you select times and menus just right for your gathering. We look forward to hearing from you! Internationally acclaimed Chef Richard Sandoval combines traditional culinary techniques with fresh, high quality ingredients to create authentic Mexican comfort food at El Centro D.F. Designed to reflect the bustling street shops and colorful rituals of everyday life in Mexico, the restaurant is comprised of three distinct dining spaces all under one roof. 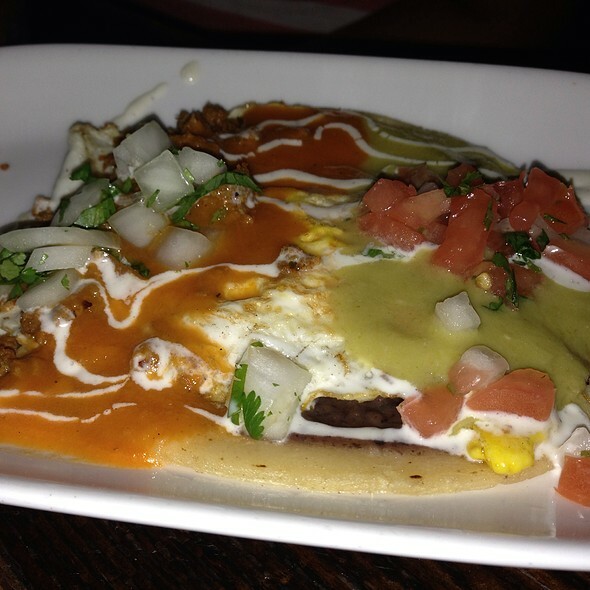 The Taqueria features a casual atmosphere where a lively open kitchen serves authentic favorites. The Tequileria allows guests to dine or lounge as mixologists craft Latin cocktails from 200 Tequilas & Mezcals. Along the rooftop guests raise a glass at two open-air bars. 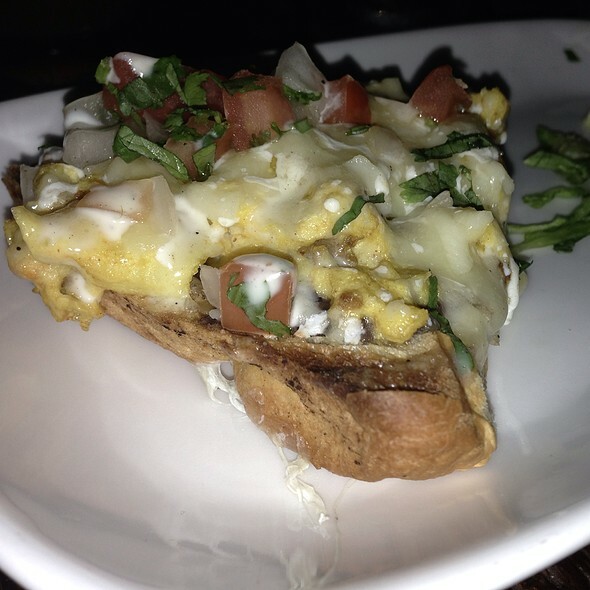 Warm, Latin-inspired service and welcoming hospitality will round out your experience. **Indicates an item with gluten. 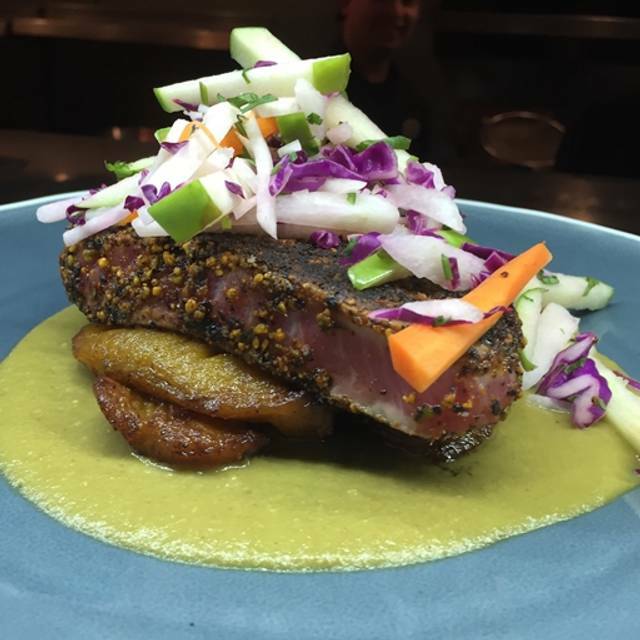 El Centro prepares its food from scratch. Some items may contain dairy, gluten, tree nuts, and seeds. Please let us know how we can accommodate you as needed. Consuming raw or undercooked meats, poultry, seafood, or eggs may increase your risk of food borne illness. Amazing place! The Saturday brunch deal was perfect for my boyfriend and I! We got to try different things from the menu and have bottomless mimosas. Will definitely go back once we are in DC again. The food is always amazing. The service is good. It gets crowded sometimes, so you definitely want to be sure to make a reservation in advance of your visit. Big mexican food fan and this place did not disappoint. The only thing I reccomend they change is their margaritas, they were a little warm. As a "VIP" Opentable customer, with a reservation, tonight was unacceptable. Least of the errors was being seated 20 minutes late, worse yet, we were seated at a table in the middle of the blacklighted2nd floor bar area. Food and waitress were good, this treatment however was terrible. I would recommend El Centro based on past experiences, but it was not great on Sunday. We came in at 10 am, so I was expecting our server to pay a bit more attention to us since we were the only ones in his section for at least 30 minutes. But he was kind of aloof. The bartender was paying more attention to us and was really wonderful. But our actual server was not good at refilling drinks, he took an abnormally long time to tell us that the coffee machine was broken, and he took a while to take our food orders. 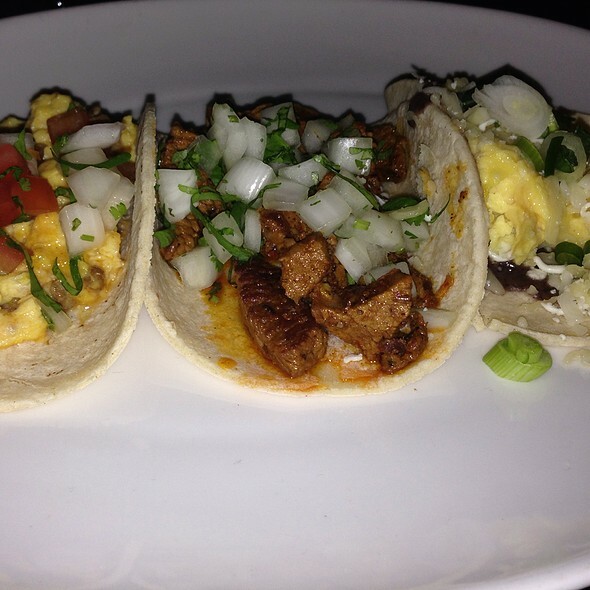 But El Centro is usually one of my favorite places for brunch in DC, so I will be coming back. I was just surprised about how unimpressive this experience was. Really good Mexican food in the U Street area. Enjoyed everything. I will not be returning to this venue. The only thing good about this place was the service and drinks. The food was bland aka not good and they ran out of the things that seemed like it would have flavor. How do you run out potatoes and burgers? They also stuck us in a basement with no cell service or wifi. If you are going to sit people in a basement at least have wifi. If you want this type of brunch I suggest going to their sister restaurant Masa 14. The service and food were excellent as usual. The margaritas are the best! I accidentally spilled half of mine and they brought me a fresh one immediately. All of the waiters are attentive, the music is fun and the guacamole is a most! El Centro seems vastly improved since last time we visited a few years back, happy to know it will be back on our Mex rotation. Only complaint would be the blue-white low energy bulbs casting a parlor throughout the basement level- a warmer golden environment would make for a more pleasant atmosphere. Yes! I recommended El Centro to my friends that I brought with me and they thanked me afterward for taking them there. They want to come back there the next time they are in town. Our server was amazing! She was attentive, charismatic and considerate. When we sat down the table was dirty. There was some guacamole or something stuck to the bottom of the plate that ended up spreading across the table. It was pretty gross. We were running a little late, and they did call to confirm that we would be there which I thought was pretty good service. Our waitress was nice but a little unprofessional. My family had lots of questions, and she was visibly annoyed, but did answer every single one. The food was good, but no one from our group thought their food was outstanding. I did like the ambiance, and we had a great table with a view of the street. Overall, maybe a B-?? It’s hard to say after a weekend of incredible food. We found the food to be very bland, ordered the Chipotle BBQ Chicken Salad and the Diabla Shrimp chef's special. Both were very disappointing, as was the Mojito Mexicano. Perhaps we should have just ordered tacos. Also, the two-person tables placed in a long row next to the wall in the back room are too close together. Very hard to get comfortable without bumping into the person sitting behind one at the adjacent table. Great ambiance, food, and service. Get the guac and the salmon mole! Great atmosphere. Friendly service from staff. Amazing food especially the brunch. Three of us dined at El Centro. 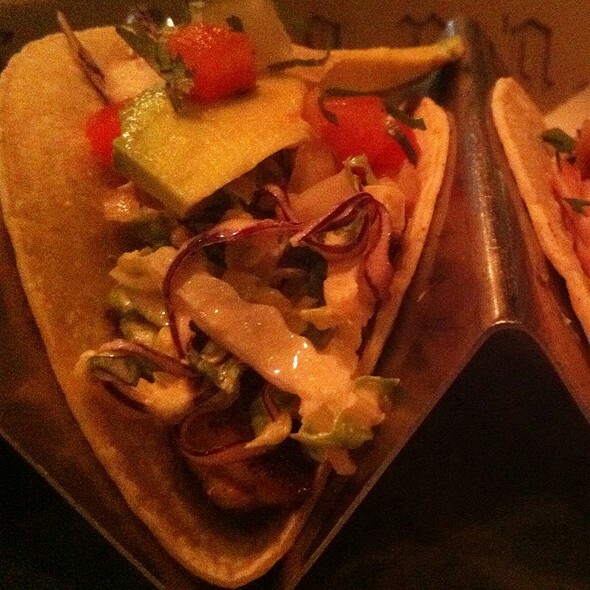 We each had tacos but different kinds. We were all very happy with our meals. They were delicious, and we liked how they were served. I also had an El Centro margarita, which was very good. Overall we had a really good dining experience. The noise level was a little high, and it took a while for our server to get back to our table, but neither diminished our experience. I would go again for sure. Food was pretty good! Our mojitos were lacking on the mint and sugar; which was disappointing. Ambience was nice, but it was so dark that it was kinda hard to see. The biggest problem was the service. We barely saw our server and she forgot one of our drink orders. When we went to pay our bill the server was nowhere to be found. We had to eventually ask another server for the check. The brunch menu is much less appealing than the standard lunch/dinner menu. I shall not go again when the brunch menu is the only one available. Food is always great. Service needs to improve. Great service and good! The waitress has another table of over 20 people and she managed to continue giving us great service as well! It's very loud and lively here. Our waitress was a little scatter brained, filling a glass of mezcal with water and then needing to replace, but otherwise the food was good. The happy hour special is a great price- 5 dollars for mixed drink and the house wine along with certain happy hour meals. 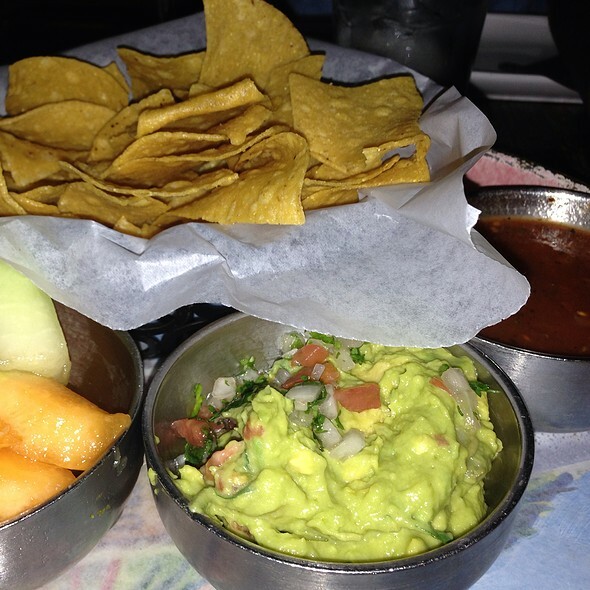 The guacamole and chips are the best items to order on the menu and the scene of the restaurant is the perfect place to catch up with friends. The only complaint was when we asked to ordered shots, we were shocked to find they were priced at 9 dollars per shot. Extremely extremely overpriced. Food and drinks were great. I just wish our server was more on point. There were lots of brunch plate choices and we were all able to try a variety of options for the unlimited brunch! 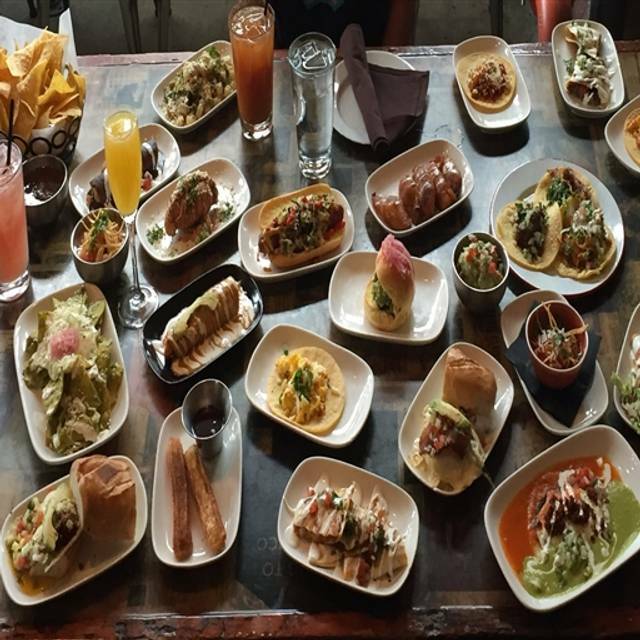 They are tapas style and all Mexican inspired dishes. The reception was a bit chaotic and not organized well. After waiting for 15 minutes, they set a table upstairs, just next to a private party. It was very loud, with super hot air blowing directly at our face (so it was almost impossible to sit without burning). Immediately after we sit, they set another table just behind our table with one of the chairs clashing with our table. The host asked us to get up so that a person can sit at that chair. One of us got up to let the new customer to sit, but there was practically no space left to sit on that side of the table. As we were looking at the host with puzzling eyes trying to understand where they would like us to sit, he just walked away. At that point we decided to leave, and we took the time to tell the host that we are leaving, explaining that it is impossible to sit at the table. We still got the no show warning from the open table! I guess the moral of the story is that upstairs is basically not for proper dining but for happy hours and parties and that the restaurant is not organized and managed well when it gets busy during weekends. Was not good. Initially sat on the roof so the rain could drop on us and the table. Once reseated the service was nonexistent. Really disappointing. I hosted my birthday dinner at El Centro and they were very accommodating to make sure we enjoyed overall. The happy hour selected tacos weren't the best selection and they must have been short on staff since our waiter was the only waiter for the whole floor and running around crazy but they turned the food around fast and overall it was a great time. I loved this restaurant! The vibe was so cool, I will definitely be back! Brought my cousin from Ireland to this restaurant and it was a treat for all of us, from the service to the delicious food. This was my first time at El Centro and it was recommended by a friend. The food was delicious but the service was very slow. Our server was friendly and pleasant, however it took her long periods of time in between checking on the table and we had to ask numerous times for things. Would definitely give it another try in the future in hopes of better, more efficient service. 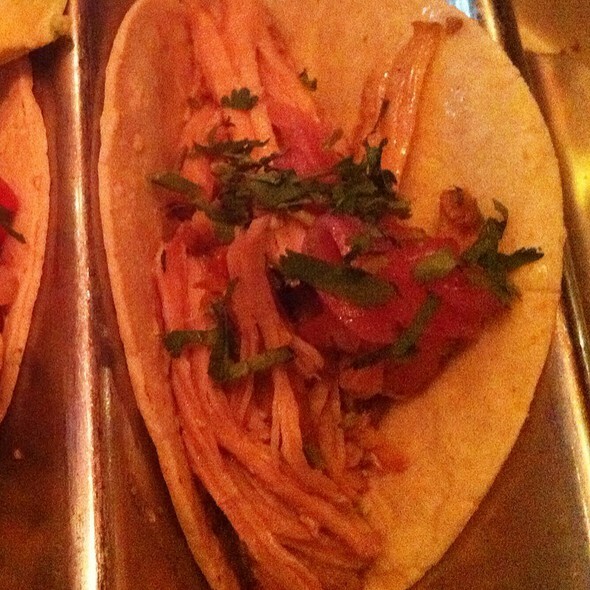 El Centro is a fun spot for tacos and margaritas - I like the ambiance and latin music. Sometimes come here for food but more often come for the dancing! Bad food, slow service, awkward ambiance. Our experience went well. The reason I gave a 4 star review was because they wanted us to move so they could clear the tables. They told us we could order a bottle of wine, but that we would have to sit along the bench...not facing each other...so that was weird. However, the food was good. Went for NYE dinner and it was delish! We went for NYE and the food was delicious as always- tacos (beef and lamb were fantastic! ), enchiladas, guacamole, and fajitas. Our server was a bit out of it though.. we had to remind the server about one of our friend’s meals and it was obvious she had forgotten. She also told one of our friends that the mojito traditional had vodka... when it had rum. 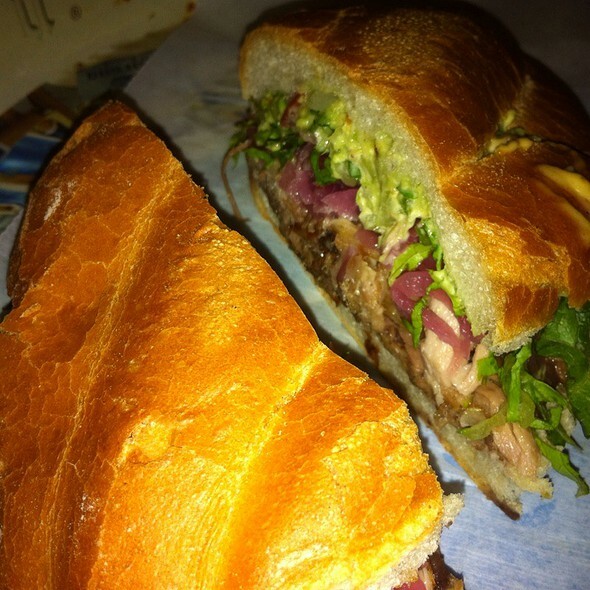 Ambiance was great and always a fun place to be with delicious food! Dinner is always great, but we tried brunch this week. The "bottomless" brunch was a great deal and the food was fantastic. Head to the basement, if possible.